Four days after the busting of the kidney racket in Apollo Hospital here, T Rajkumar Rao, the kingpin, and three others were today arrested, even as police said 10 doctors are likely to be questioned in connection with the case. Rao, aged around 40 years, who is believed to be associated with similar rackets in Nepal, Sri Lanka and Indonesia, was arrested in West Bengal today. He will be produced before a court there and brought to Delhi on transit remand, a senior police official said. Rao, who was under police scanner for operating similar rackets in Jalandhar, Coimbatore and Hyderabad, was identified with the interrogation of the middlemen in the racket and teams were rushed to several states to track him down. The official said all ten doctors in Apollo Hospital’s internal assessment committee for transplant surgeries will be quizzed. The committee comprises senior doctors working at the hospital, independent doctors and a government doctor. Earlier in the day, police arrested a married couple and a woman, all identified as kidney donors associated with the racket. 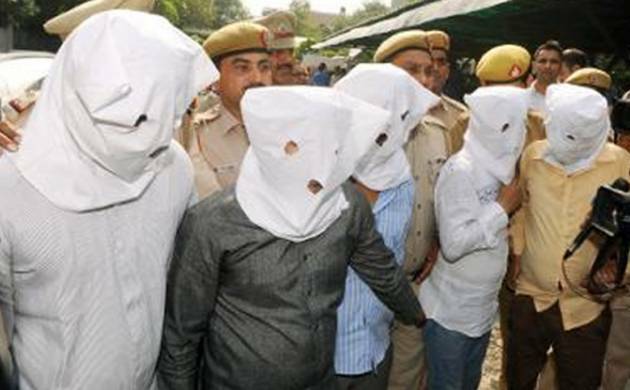 The three were identified as Umesh and Nilu, who are husband and wife residing in Kanpur, and Mamta alias Maumita, wife of one of the five accused arrested last week. During interrogation, Umesh and Nilu told police that they had sold their kidneys for Rs 4 lakh and Rs 3 lakh respectively as they were in urgent need of money for their minor son’s leg surgery. They also told police that when they came to know about the actual price in which their kidneys were sold, they felt deceived, an official privy to the investigation said. The third accused, Mamta, is the one who actually led police to the kidney racket. On the day it was busted, Mamta was spotted indulging in a heated exchange with her husband, Devashish Moulik, and when the police intervened, on receiving a call regarding the matter, they were stunned by what they heard. Mamta accused Devashish of cheating her with the amount he received after her kidney was sold. During investigation, it came to light that Devashish had offered his own kidney first but on being declared unfit he convinced his wife to do so, the official said.